Chickenpox is a virus infection. Sometimes children scratch the blisters and they can become infected. If this happens, you’ll need to take them to the doctor. Very occasionally chickenpox can lead to serious complications, such as pneumonia, problems with the kidneys, heart, joints or nervous system. Chickenpox is also serious for pregnant women. If there are no complications, chickenpox usually clears up within 3–7 days for adults, and 5–10 days for children. The virus is spread through the air by infected people when they sneeze or cough, and by touching the chickenpox blisters then touching objects or other people. The illness starts 10–21 days after being exposed.To know more about Chickenpox such as " What is Chickenpox? it's Symptoms, Treatments and Prevention " then you can read the whole article. Chickenpox is contagious from 1–2 days before the blisters appear. Avoid close contact with other people, stay home from work and keep children home from school and early childhood education centers for 1 week from the appearance of the rash until all blisters have dried. Always Remember that chickenpox is serious for pregnant women and people who are have a reduced immune response (eg, children with cancer). Always turn away from others and use tissues when you cough or sneeze. Always wash your hands after coughing, sneezing or blowing your nose. Chickenpox can also spread through touching the blisters and then touching objects or other people. Wash your hands often, especially if you’re the caregiver of a child with chickenpox – and make sure they do the same. Discourage children from scratching the blisters. To check about " What is Chickenpox? it's Symptoms, Treatments and Prevention" you can read the given details which is provided below.. Symptoms of Chickenpox : There are some symptoms of Chickenpox which is given below.. Rash - its severity varies considerably. Some patients may have just a few spots, while others are covered all over the body. Spots - the spots, which develop in clusters, generally appear on the face, limbs, chest, and stomach. Blisters - initially, there are small red spots that itch a lot. They then develop into spots with blisters on top - these can become very itchy. Clouding - within about 48 hours, the blisters cloud over and start drying out (a crust develops). Healing - within about 10 days, the crusts fall off on their own. 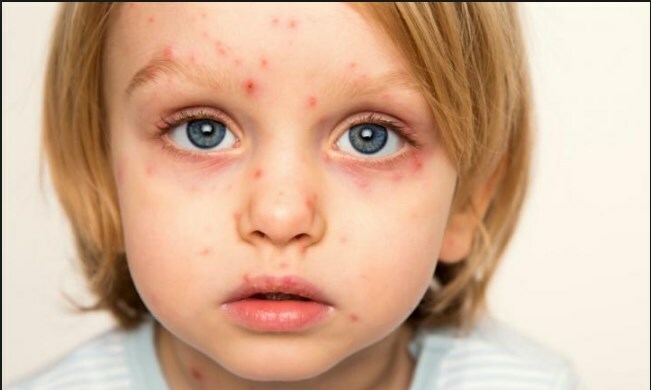 Causes of Chickenpox : There are some causes of chickenpox which is given below in points..
Chickenpox is caused by a virus which is called varicella zoster. Treatments of Chickenpox : There are some Treatments of Chickenpox which is provided below..
Antiviral medication - may be prescribed to pregnant females, adults if a diagnosis is made early enough, newborns, and patients with weakened immune systems. An example of such a drug is Acyclovir. This medication works best if it is given within 24 hours of developing symptoms. Acyclovir reduces the severity of symptoms but does not cure the disease. Chickenpox vaccine - countries vary in their recommendations for the chickenpox vaccination. Vaccination usage is much more widespread in the United States than many parts of Europe. In the U.K., it is recommended for certain people, such as healthcare workers (not already immune), and those living with somebody whose immune system is weak. In the U.S., the chickenpox vaccine is routinely given to children.